BJD MPs met Union Food Minister Ram Vilas Paswan at New Delhi and presented their demand for more allocation of rice instead of wheat to Odisha. 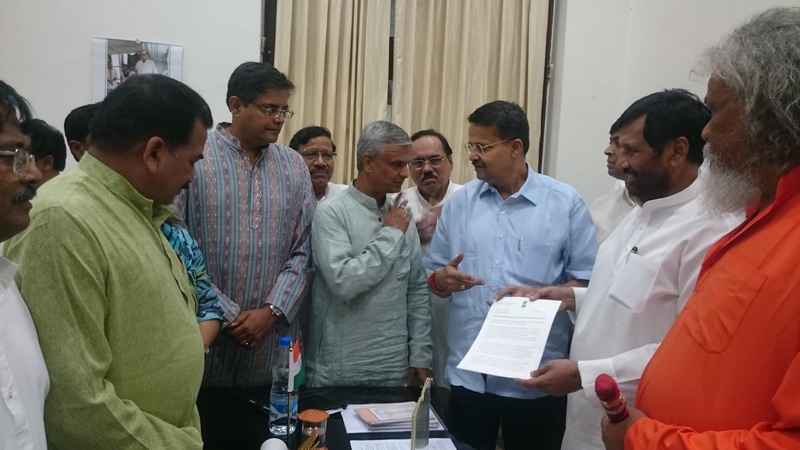 They submitted a memorandum to the Governor seeking more rice instead of wheat from the Centre under the Public Distribution System. Acoording to that Memorandom, Odisha is a rice consuming state and paddy is the main crop of Odisha. Infact Odisha is the few surplus rice producing states in the country and has been contributing to the central pools since last 7-8 years. “Government of India have been allocating rice and wheat at the ratio of 78.83 : 21.17 on the ground that this was the ratio of allocation and lifting prior to NFSA implementation. But the reality is that in last three and half years, since April, 2012 till October, 2015 the ratio of lifting of rice to wheat has been 85:15 at 70.60 lakh tonnes of rice and 12.41 lakh tonnes of wheat by Odisha,” said the memorandum. NFSA was implemented in 14 districts from November 2015, and remaining 14 districts from December 2015. According to that all beneficiaries have been provided their choice to combination of food grains.